If you are looking for a family dentist Lowell, MA residents have trusted for years, Crosspoint Family Dental is a great place to visit. We value our patients and we make it a point to treat you as a part of the Crosspoint family. We happily treat patients of all ages with a caring touch. Conveniently located at 850 Chelmsford Street in Lowell, MA, our doors are always open to you and your family. We operate with the understanding that dentistry often causes fear and anxiety, which is why we have created a warm, friendly environment that cannot be matched by any other family dentist. Lowell, MA families of all sizes and ways of life are encouraged to come see what we have to offer. Our dentists, Dr. Peyskhov and Dr. Turkenich, have over twenty years of experience and ensure that each patient is treated with the utmost care. Our state-of-the-art technology gives our team the ability to perform lasting dental work that is sure to brighten any smile. You can be sure that from the front desk to the dentist chair, you and your family are in the best hands at our Lowell, MA family dentist. At Crosspoint Dental, we offer a wide range of dental services and procedures for our valued patients. Our mission is to educate you and explore all of your options until you are comfortable with the necessary procedures and services needed to keep your teeth in top shape. From cleanings to cavities, or more complex procedures, our experienced family dentists will make you feel safe and comfortable when you come to Crosspoint Family Dental. For a family dentist Lowell, MA residents can rely on, call our office at (978) 459-6467 today! We are happy to invite you into our family, and keep you smiling wide for years to come! 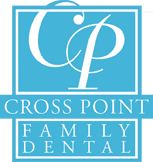 If you have been looking for a family dentist, Lowell, MA patients can trust the experts at Crosspoint Family Dental.